This weekend our pastor, Joe Hishmeh, preached from Philippians 4:14-23 to talk about “An Appraisal of Giving.” It was a challenging message regarding stewardship and generosity in our lives, with the proper perspective on our resources being that God is the giver and owner of those things anyway. Also, we can give in such a way as to give God the glory He deserves, in an act of worship through giving. I believe we were all called through the word to live simply so we could all be more generous, for the purpose of advancing the kingdom of God, and investing in the things that last: God, His Word, and people. For our song selection process, we emphasized how God gave first. He demonstrated His great love for us by giving Jesus to die in our place for our sins (John 3:16-17). Our giving is merely a response to His goodness and love for us. This weekend was a good weekend of worship. We tried a few new things and stretched a little, and I think it was healthy for the church and for the team. For one, I played electric guitar for the majority of our worship set. I definitely felt stretched. Becky Tindell did a great job on rhythm acoustic guitar and leading. “All Because of Jesus” – This song is a solid part of our worship vocabulary, and our congregation always engages with it and participates. This song served the purpose of reminding us that everything we have is because of God’s grace and goodness. This idea is foundational for us to understand what generosity really means. “I Stand Amazed” – Becky Tindell led this song, and she did a great job. She is one of our newest leaders, and she has been faithfully serving and leading with our Children’s ministry called the Mountain. This was the first time I have had this song in a “girl” key, and I really enjoyed it. I also enjoyed being able to play lead on this one, in particular. I love the chord progressions of both the verse and the chorus, and it makes room for some interesting melodic lines. “Lord of Lords” – Becky also led this song. I love how this song helps us to picture the throne room of heaven, and to see Jesus as the Lamb of God seated on that throne. “Jesus Paid It All” – This song is a staple here, and one that our congregation still connects with well. This song reminded us again that Jesus gave first, and our giving of our lives in obedience and worship is right response to who He is and what He has done. “Take My Life And Let It Be” – This hymn was chosen mainly for the final verse, which speaks to our money and our mind being given as an act of worship to our King. I love how the congregation sings out on this song, and I think it something we need to reflect on frequently – that all aspects of our lives would be dedicated to worshiping Jesus. I was encouraged by this weekend, and really enjoyed our times of worship together. May we be generous with our lives for the King and for His kingdom. I hope you had a great weekend of worship as well. Check out The Worship Community to see what other worshipers experienced and why. Let me know your thoughts! I love your opinions and feedback. He was pierced through for our transgressions. And His form more than the sons of me. Thoughts on Good Friday, from nearly 400 years ago. 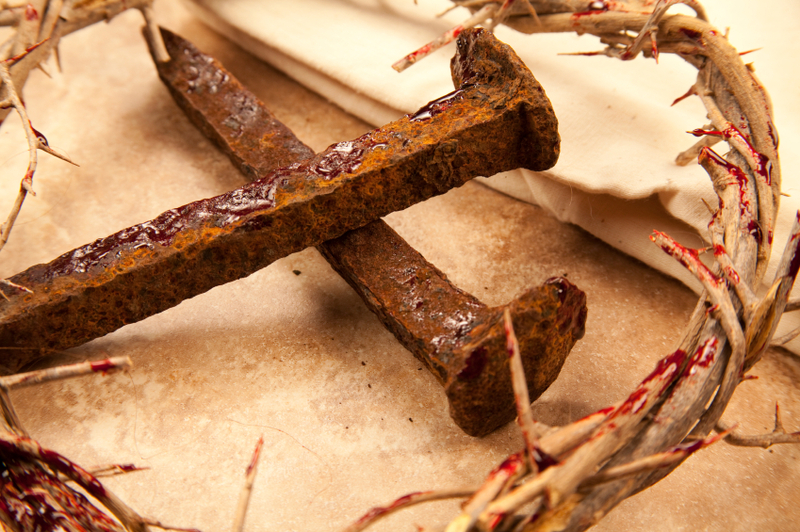 I thought I would share a few thoughts about Good Friday today, as we reflect on the cross of Jesus, where our rescue was accomplished and our ransom was paid. John Donne is one of my favorite poets, and these particular poems are favorites of mine. This day, when my soul’s form bends toward the east. It made his footstool, crack, and the sun wink. By God, for his apparel, ragged, and torn? May we never forget the point of Good Friday. Jesus came to seek and save the lost. He came to do for us what we could not do for ourselves. We had no hope–no claim or right to eternal life–because we were dead in our sins. We had chosen to run our own lives. We had chosen our own way. We were Captives. Slaves. Prisoners. Dead. Enemies. We could not save ourselves. We would not save ourselves, because we liked our way of doing things, regardless of how it destroyed us. The only way for us to have eternal life was through Jesus’ perfect sacrificial death in our place, for our sins. The righteous wrath of God against sin had to be dealt with, and God chose to take care of it Himself. He sent His one and only Son to the cross because of His great love for us. He did it while we were His enemies! The very hands that shaped the universe were nailed to the cross so that we could be rescued from sin and death, once and for all. May we never lose sight of the amazing love and grace of God, which kept Him on the cross to finish His defeat of sin and death. There was no other way for us to be saved. There is no other way for us to be saved. Thank you, Jesus, for loving us and rescuing us!